This House was built from the Ground up to spotlight the most energy efficient features. As part of our Plans Review Program and Consultation Service, we recommend these products and offer links to help you design your energy efficient home. An investment now in your home will reap years of benefits to you and enhance the value of your home in the future. 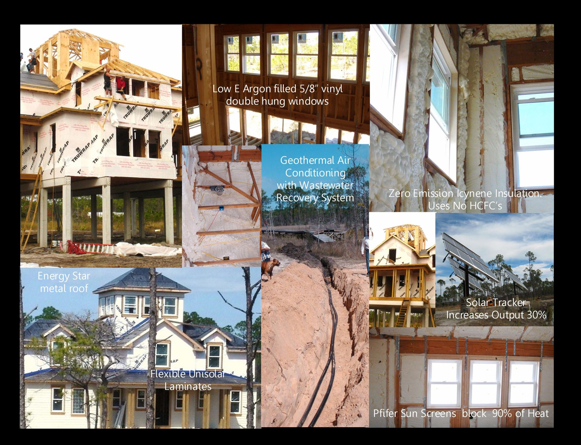 We hope you visit our Sponsors Websites for more information on what makes a home truly energy efficient and green from the ground up. Solar works with these energy saving features to fully power this home and yours! Phifer Sun Control Screens can Block up to 90% of the Sun’s heat while keeping the view.